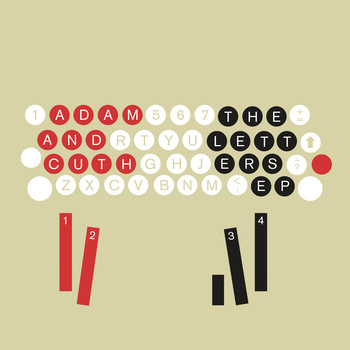 I recently disc overed “The Letters” EP by UK hip hoppers Adam & Cuth. Having not heard of them before I discovered Adam, better known as Adam the Rapper, is well-known on the battle rap scene, check him out on the Don’t Flop youtube channel. Not being the biggest battle rap fan in the world, I was pleasantly surprised by “The Letters” EP. Adams style is a cross between street urchin, Task Force-esque, uk street poet and chilled out hippie, vagabond, folk musician. One of the main things I like about Adams style is, it’s his own style and completely unapologetic about it. He is not afraid to talk about issues that go against the grain of your typical UK hip hopper. You can tell the boy loves poetry and he’s not afraid to use it, in an intelligent and fun manner. Cuth takes care of the production, mixing up soulful rhythms firmly founded in the golden era of hip hop, yet still looking to the future. Funk, soul, hints of electronica, it’s all in there for your listening pleasure. The EP is available now for Name Your Price download on their bandcamp page, but for a mere £6 you can own your own physical copy on CD. 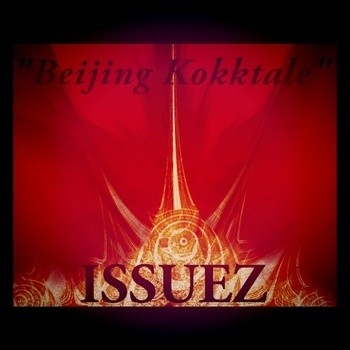 After a number of EP’s, singles, and related projects, Issuez finally releases his solo album, “The Beijing KokkTale”. If you have checked out his previous work, you know what kind of thing to expect, hard, full on, uncompromising, experimental hip hop; and I have to say, I think this is his best work to date. 14 tracks long, The Beijing KokkTale may not be the easiest listen ever, but that is part of the appeal. If you don’t want to hear the typical blah blah, weed, money, swag, nonsense, Issuez doesn’t give it to you, he gives you his own unique take on hip hop, life and well, everything. The production is handled by DJ Hotel, Voider One, Passive65ive (who also makes a vocal appearance), Agartha Audio, Waatu, Lamebot, Optimus GFN and Gold Panda. An impressive line-up I’m sure you’d agree. The Beijing Kokktale stands out in a hip hop scene that can all too often be formulaic and tired. Big up Issuez for being himself and not comprising his vision of hip hop. 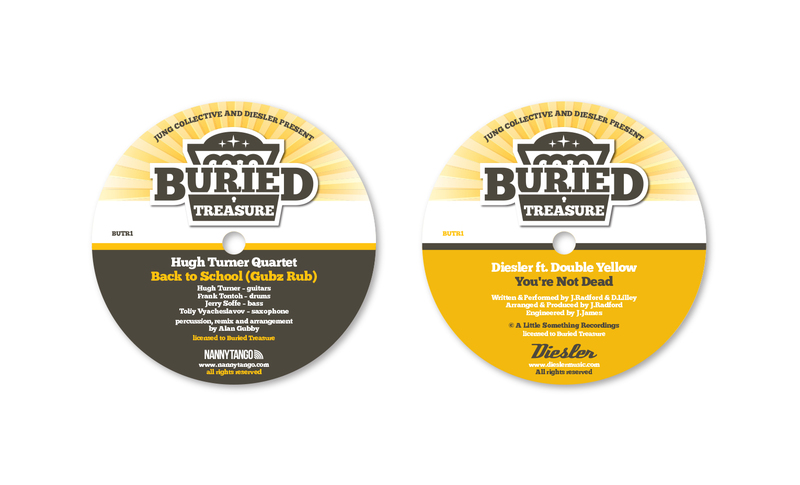 Buried Treasure is the brand new label set up by Diesler and Jung Collective. The first release is a split 7″ from UK funksters the Hugh Turner Quartet and label boss Diesler featuring the vocal talents of Double Yellow. Dieslers “You’re Not Dead” is a beat driven slice of funk, given an alternative, indie twist from Double Yellows laid back vocals. This will go down a treat in the clubs, and I could even easily imagine this getting air time on 6 Music. The flip side, “Back To School” is an instrumental journey through modern funk, jazz and soul. Perfect for warming up the dance floor or relaxing to, preferably on a nice sunny day. Available now on 7″ and 7″ only! Yes, that’s right, vinyl only, no digital. Numbers are limited, so get while you can. First up for the new year, we have an excellent release from Vlachi Pro aka Bristolian beatsmith Awkward and LA’s Matt Gamin. “Hard Maintenance” is one of the best left-field, underground hip hop album I’ve heard in some time. The production mixes up electronic synths with heavy weight drums, with hints of producers such as El-P, Flying Lotus and Anti-Pop Consortium but all done with Awkward’s distinct style. I have to admit I have not heard of Matt Gamin before, but after hearing this, I need to hear more. His flow is laid back but still complex, coming off with relentless lyrics presented to you in a highly interesting and unique manner. Again, if I had to compare him with other rappers out there, I would say he reminds me a little of Pigeon John, Busdriver, Freestyle Fellowship…I think you get the picture. 9 tracks long, “Hard Maintenance” is available as a Name Your Price release now on their Bandcamp page. Check it out! Mr Jon Kenne dy releases his new EP, “My Life” today on his own Jon Kennedy Federation label. Consisting of 4 tracks, this EP will appeal to fans of beats, be them funky, laid back, or slightly more off-key, he’s got it all covered. It kicks off with the title track, which features Jon’s, I believe, own dulcet tones, as well as a female singer. Which makes for a nice laid back, funky little track with some what of a 90’s trip-hop meets indie feel to it, no bad thing at all! Things get more up beat as we go on, the most dance floor friendly track being “Witch Doctor”, which is all fast drums and percussion, I can imagine this going down well at a festival with the sun shining brightly. It all makes for a really great little EP, covering all bases of Jon’s music. Download it via itunes or amazon and while you at it, check out the rest of his releases, the man has many! Dr Syntax and Tom Caruana have just unleashed their new album, “A Slice of Fried Gold”, mixing up funky beats, tall tales, spoken word dialogue and more, this is one UK hip hop album that doesn’t leave feeling depressed or moody. Dr Syntax’s distinct vocals always set him apart from the average uk mc, add to that his interesting choice of song topics (not getting the girl, being average in bed, living in the mess of an all male house and so on), it makes for a truly refreshing listen. The album is tied together with snippets of dialogue taken from Edgar Wright films and tv shows, we’re talking Shaun Of The Dead, Hot Fuzz, Spaced, etc. Wright, who had personally recommended Tom Caruana’s Wu-Tang meets Jimi Hendrix mash-up album, gave the pair free rein over any samples they wished to use. This gives the album more of a concept feel, linking tracks and themes together, plus I always like hearing a nice bit of amusing dialogue. Caruana’s production is always on point, mixing up funky sounds with that classic hip hop feel, without sounding dated or tired, and I like the fact some tracks here have more of an electronic sound to them, a good example being the club banger, “Another Classic”. Which kind of sounds like Lil Wayne, if he could rap and grew up in the dark depths of the British country side. Dr Syntax and Tom Caruana have made an excellent album which has the potential to engage broader audience, not just the hip hop fans, without diluting their sound or content. Now get your arse over to Tea Sea Records and grab yourself a slice of that super nice fried gold! WrongTom is well-known for his love of reggae, his albums with Roots Manuva and Deemas J are proof, if any was ever needed. As well as many many other musical genres, Tom also has a great love for punk music, and for the past few years has been busy, along with cohort Ed Zed, writing the Skank Blog Bologna, uncovering the sounds where punk and reggae collide. Their hard work has now paid off with the release of the new compilation, “Spiky Dread”. The compilation boasts well-known names such as The Slits and Bad Brains, as well as some lesser known artists and at least one track that has never seen the light of day, until now. The great thing about this compilation is its broad appeal, if you enjoy the more experimental side of late 70’s punk and new wave, or get down to spaced out dub, you will love Spiky Dread, spiky guitars and heavy bass lines. It is a great collection of music that has been to often overlooked. Check out the teaser, and then order your copy, you will not be disappointed! Coming straight out of Birmingham, hip hop duo HLI are bringing a breath of fresh air to the UK hip hop scene. They mix futuristic, electronic beats with intelligent, forward thinking lyrics. 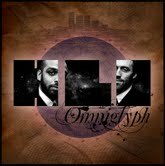 The “Omniglyph” EP, released on Spinning Compass Records, consists of 6 brand new tracks and 6 remixes. Remix duties are handled by, amongst others, Kashmere, Mike Ladd & The Infesticons and Thavius Beck, impressive line-up I must say! Musically, you can hear hints of dubstep, grime, along with left field hip hop and electronica, creating an interesting and entertaining mixture. If I have to compare them to anyone, HLI”s sound reminds me of New Flesh, which may be no surprise as Juice Aleem features on “Opus Day”. Rappers, Elai Immortal and Sensei C, come through with hard uncompromising rhymes, all delivered with their own unique styles with real intelligence. Even when they are double timing at break neck speed, you know this isn’t just your typical ten a penny rapper spitting bars, these guys have honed their skills, love the art and truly believe in what they are saying. If you are after something different coming from these shores, or just love good hip hop/music, make sure you check out HLI, you won’t regret it. Shepherds are a duo consisting of MC 8Man and DJ Aaron Islamb aka Aaron Fletcher from indie psych band The Bees. The pair have been making music under the name Blank Beats since 2003, but recently changed their name and their sound. The Shepherds new sound is a mix of hip hop, woozy psychedelic electro, Brainfeeder style beats, hints of Warp techno, polished off nicely with 8Mans laid back, versatile rhyming style.They are set to release their debut mini album “Lifeline” within the next few months via iTunes, but look out for the limited edition cassette version to. For now you can stream the album in full from their soundcloud page. It makes for an excellent, refreshing listen! Check it out. 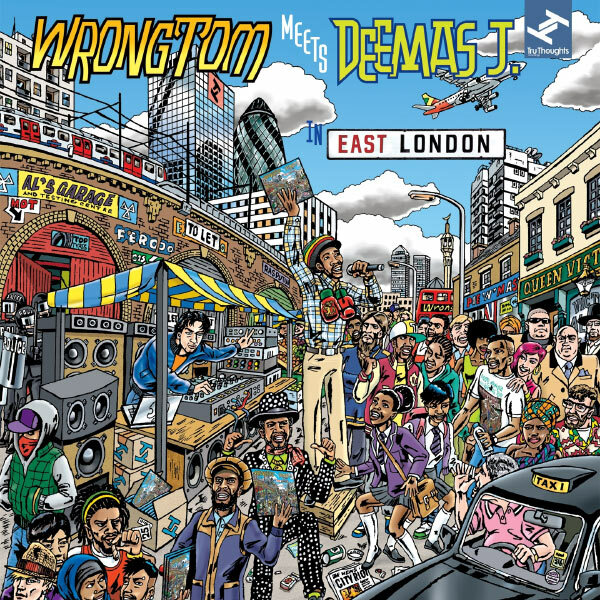 First WrongTom Met Roots Manuva, now WrongTom Meets Deemas J and its only over In East London, cor blimey! Yes that’s right, my man WrongTom has released a brand new album of original tracks, not remixes, with long-term friend and collaborator Deemas J.
I’m sure I remember Deemas MCing to jungle at a Bacchus christmas party in Kingston back in the mid 90’s, but that’s another story. This long anticipated along does not disappoint, it is classic reggae material from start to finish. If you like old digital sounds, 90’s dancehall, classic dub, you will love this, it’s a must for any reggae fan. I’m honestly loving everything about this album, from the excellent Tony McDermott artwork, to Tom’s retro yet contemporary production, to Deemas’ top notch vocals. Vocally I can hear hints of Smiley Culture, Daddy Freddy, and Linton Kwesi Johnson in there, it’s amazing that the majority of the vocals were freestyles often done in one take! My knowledge of reggae production is slightly lacking, but this makes me think of classic Prince Jammy records, and the kind of rhythms you would have heard artists like Cutty Ranks toasting over back in the days. Out now on Tru Thoughts, make sure you grab a copy and also check out the latest installment of the Tru Thoughts podcast, where WrongTom talks through “In East London”, playing track from the album and a selection of tunes that inspired the pair.